What are Molluscs? One of the largest and most diverse groups, the Mollusca includes the easily recognizable clams, slugs, snails, and squid, as well as less familiar animals such as chitons, tusk shells, and monoplacophorans. 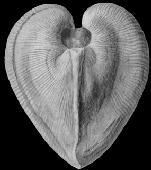 The extinct ammonites and belemnites are also molluscs. All molluscs possess a mantle, a sheath of tissue formed from the body wall. 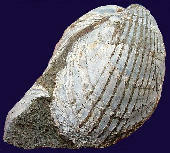 Most have a shell made of calcium carbonate that is secreted by the mantle. Molluscs can be found on land, as well as in freshwater and marine environments, from tide pools to the deep ocean trenches.